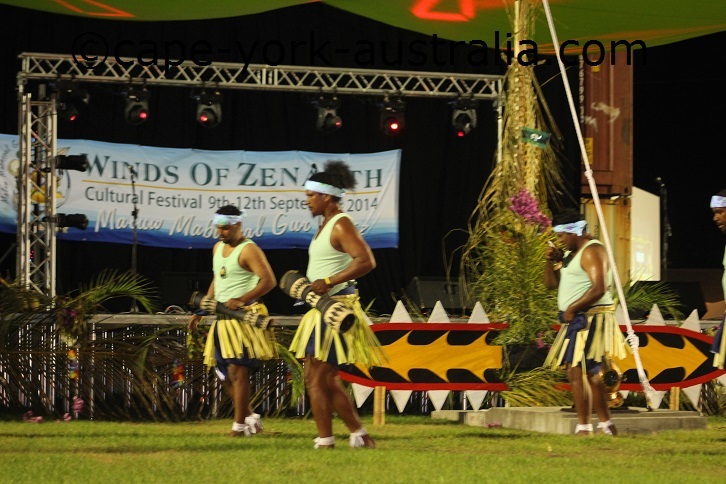 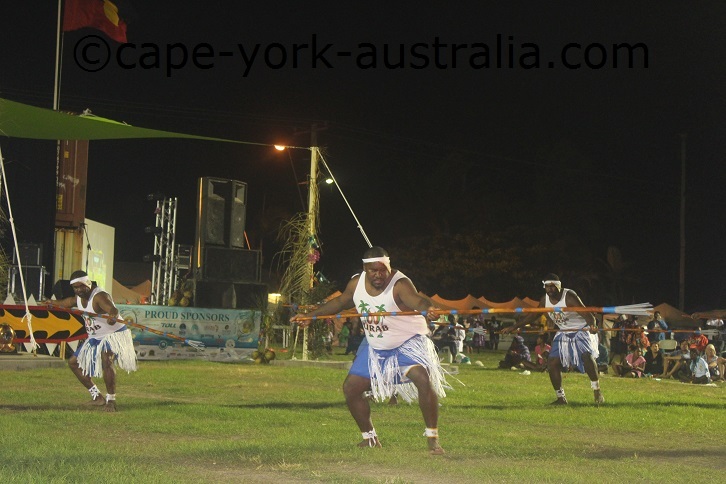 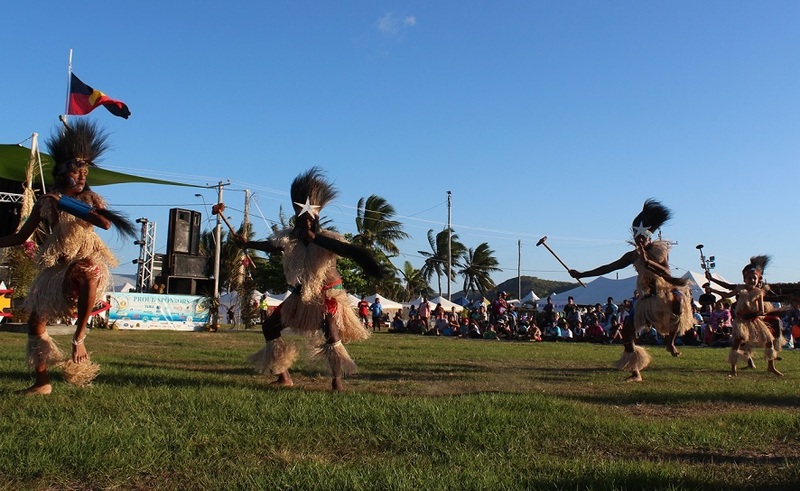 Torres Strait Cultural Festival is a great event. 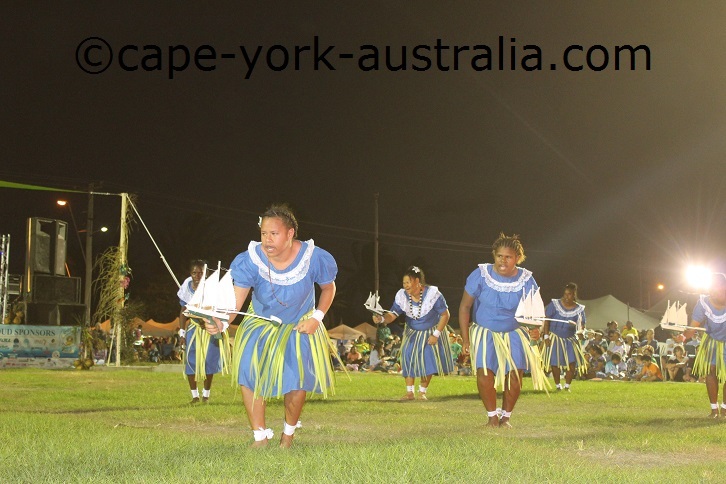 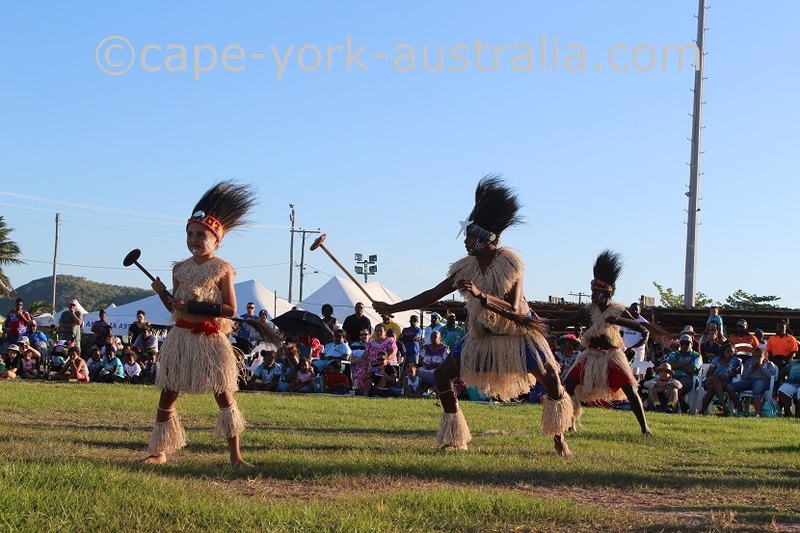 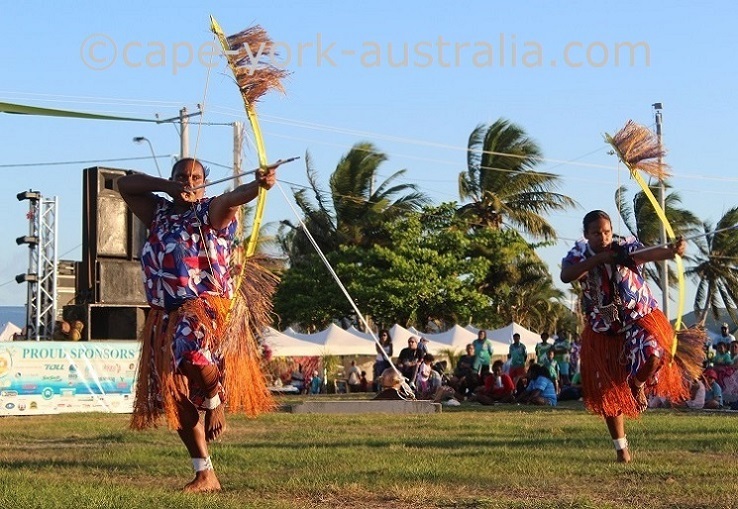 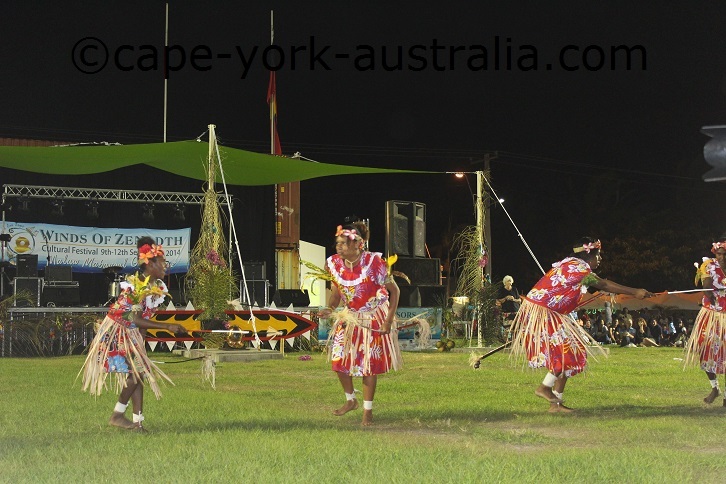 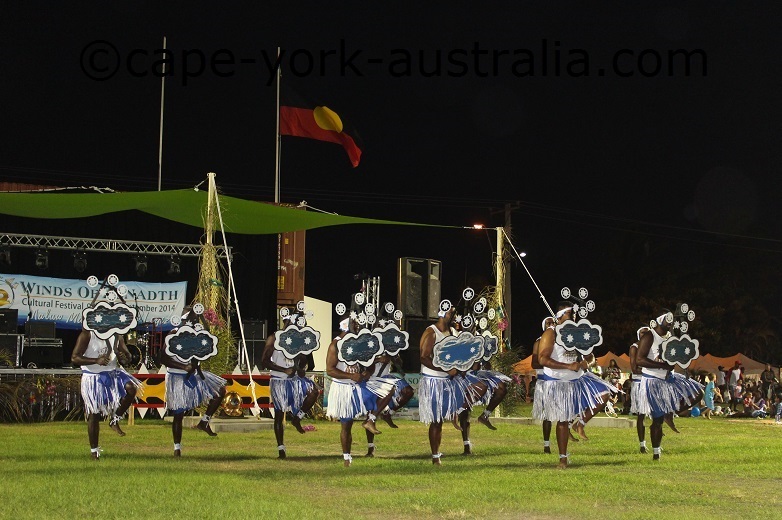 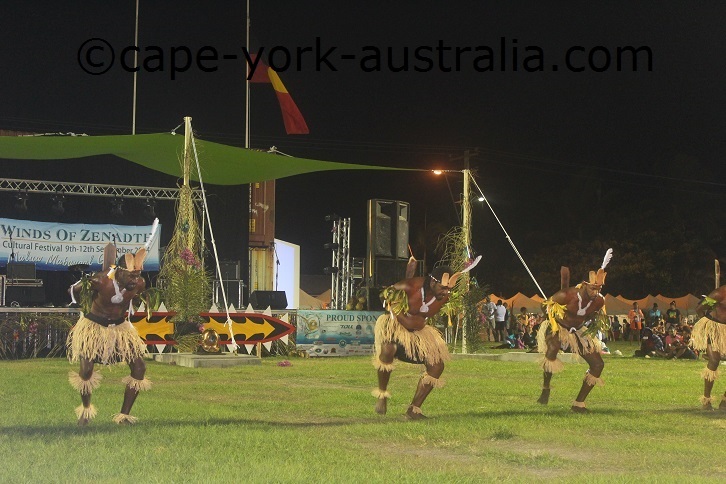 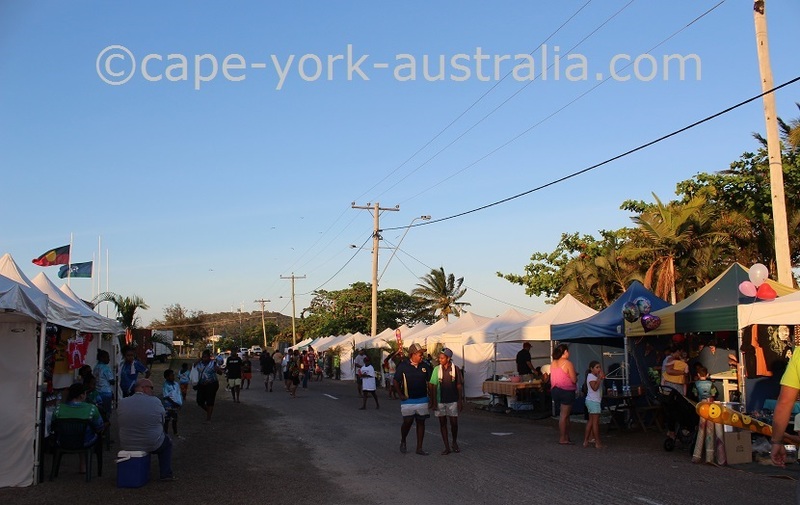 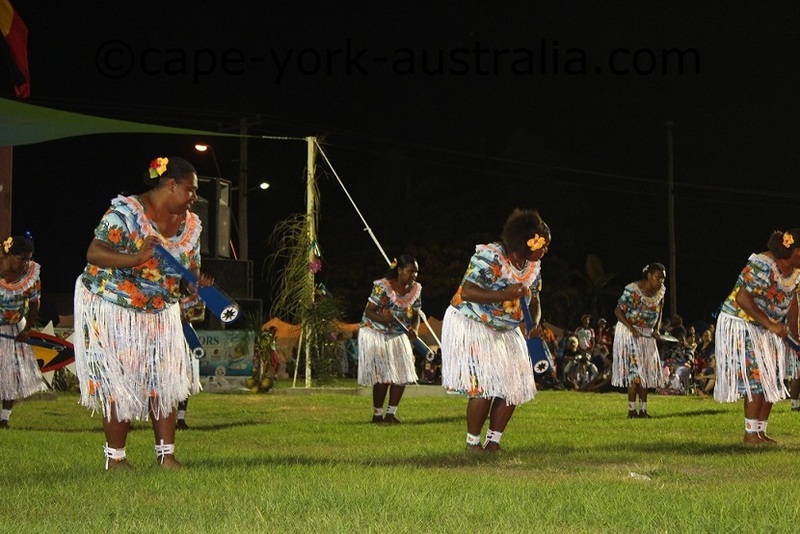 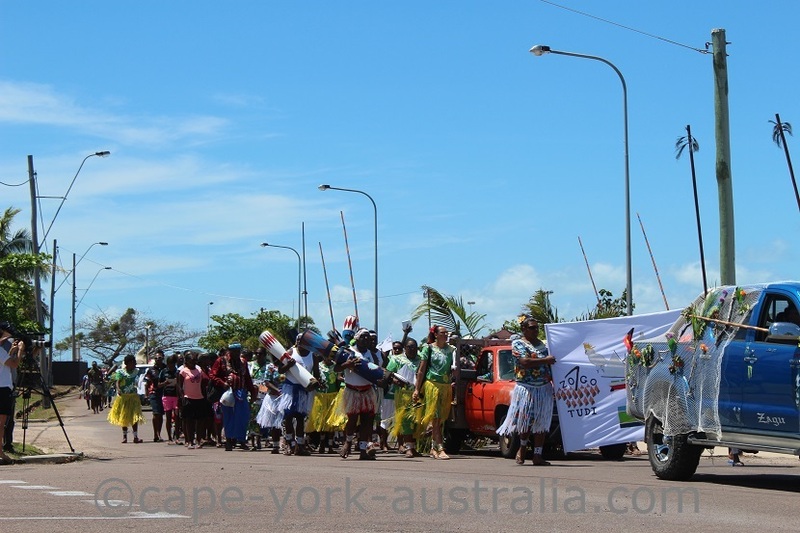 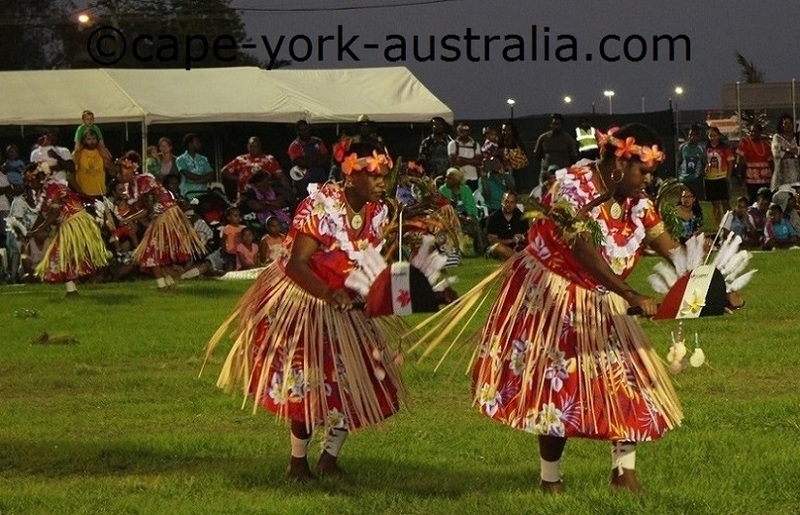 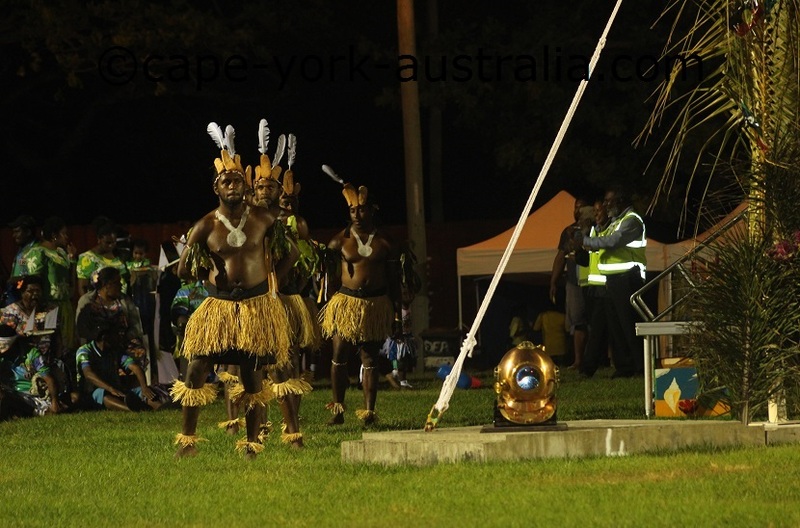 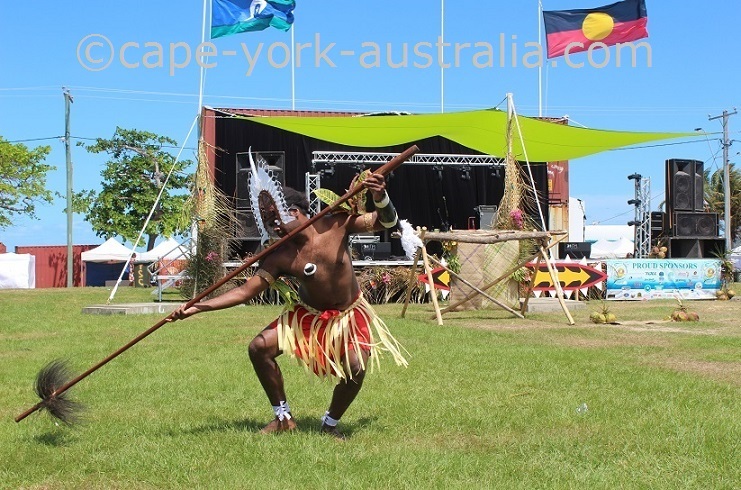 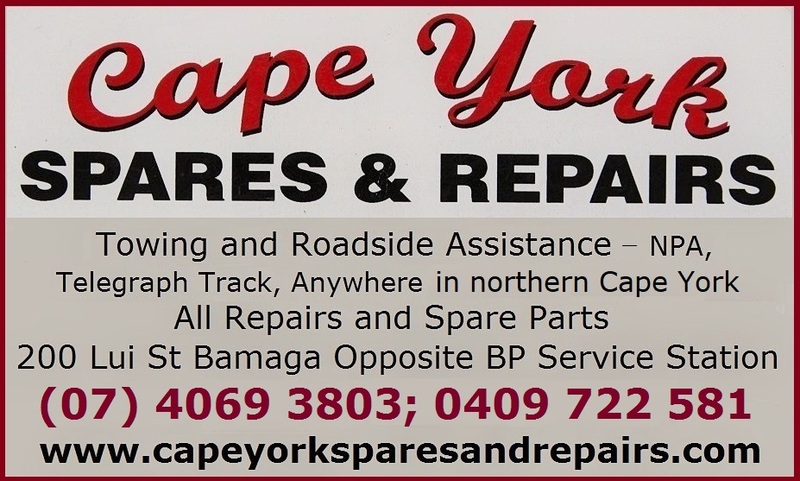 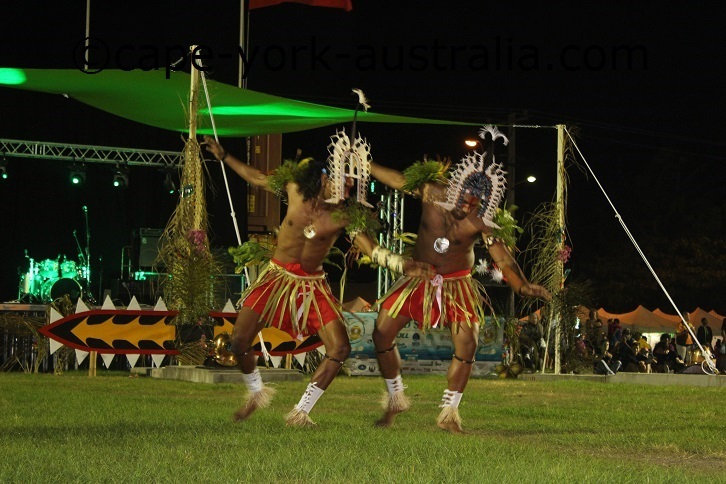 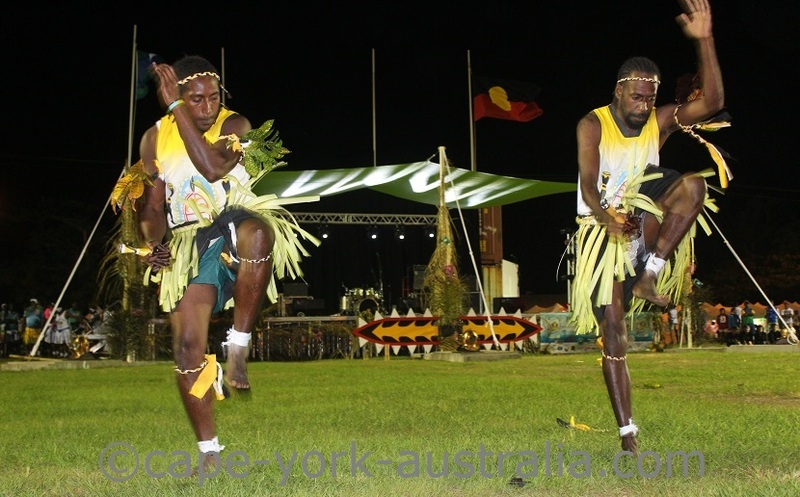 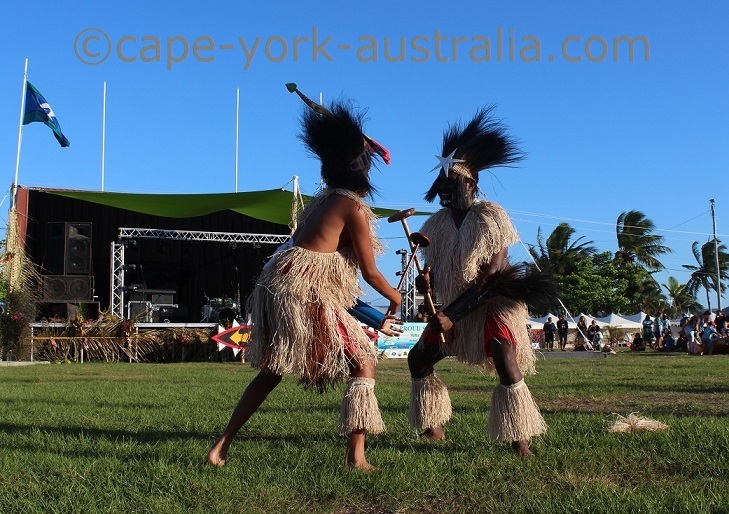 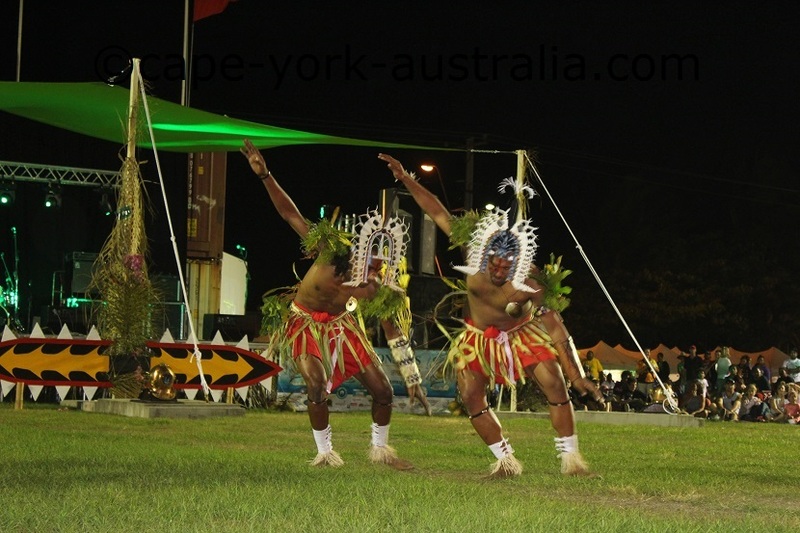 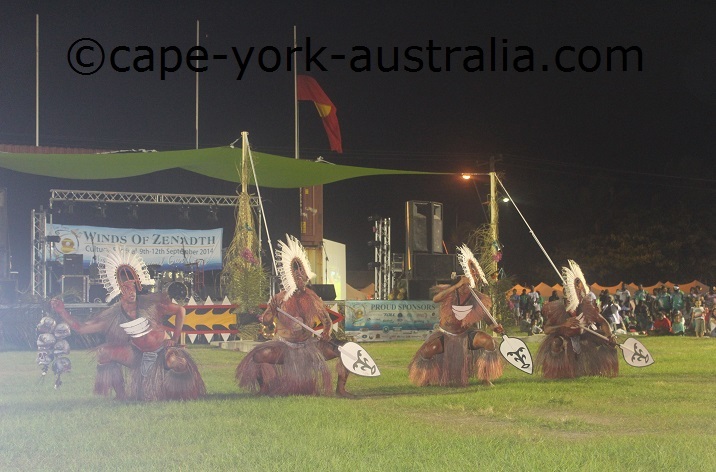 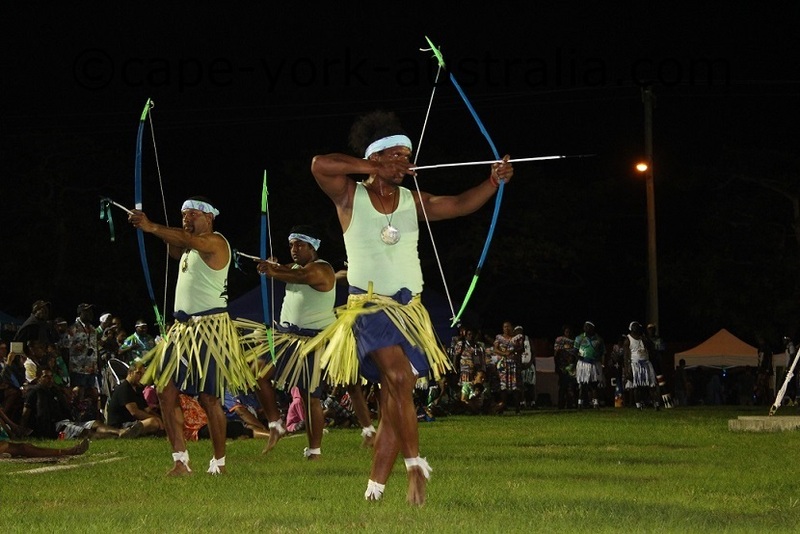 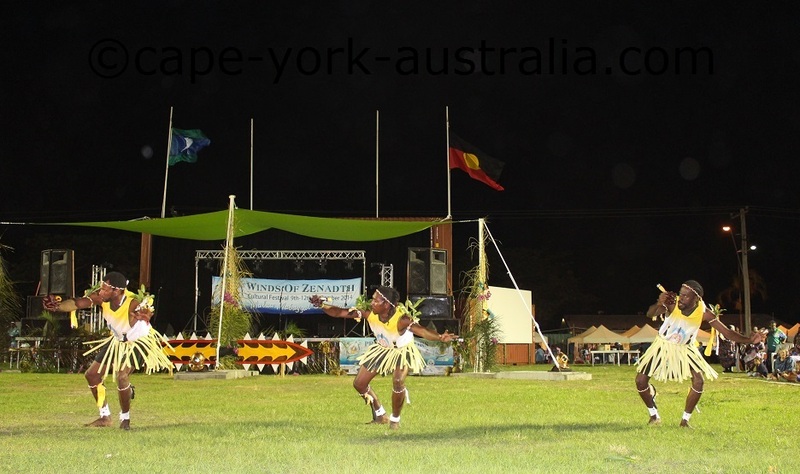 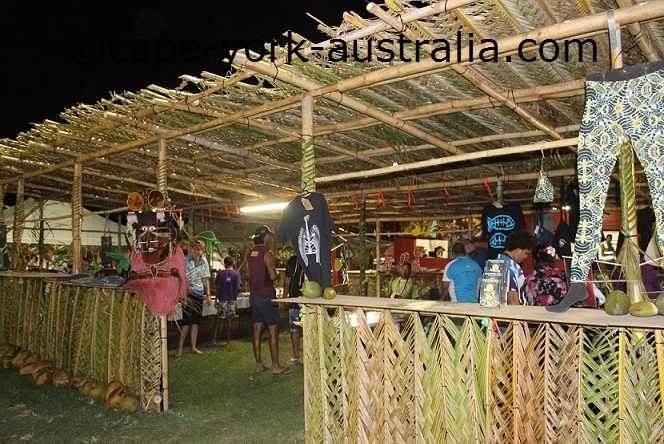 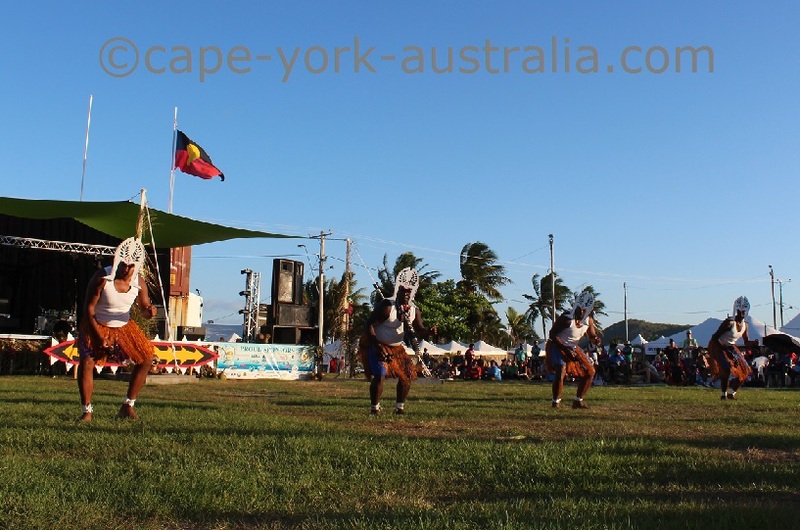 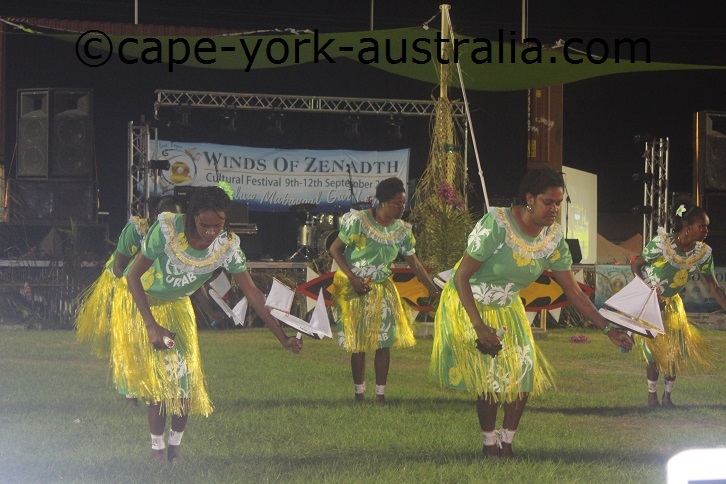 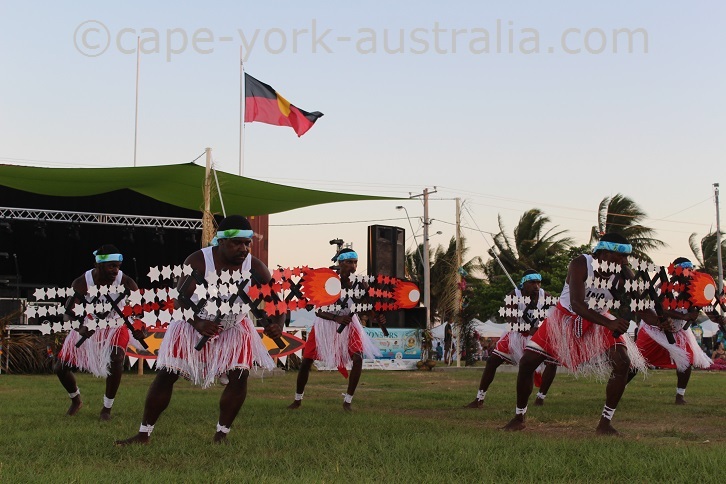 It is right up there amongst the three best events in the Cape York peninsula area, along with Laura Aboriginal Dance Festival and Cooktown Discovery Festival. 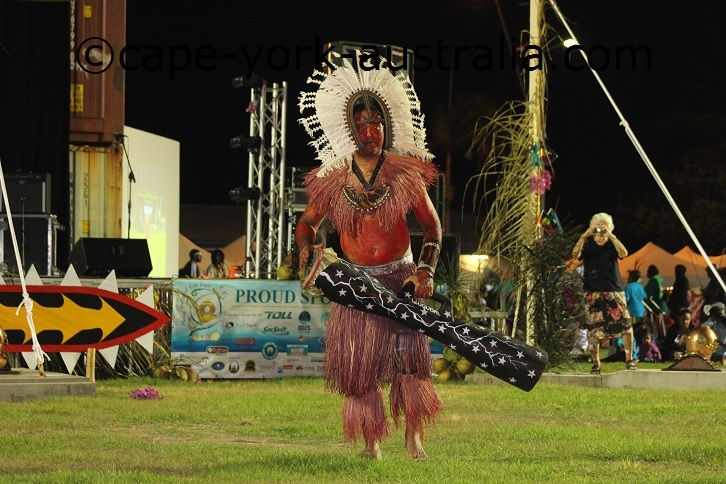 Along with Laura it is an excellent event to experience Australian indigenous culture, and as opposed to Laura this event is obviously about the Torres Strait islander and not the mainland Aboriginal culture. 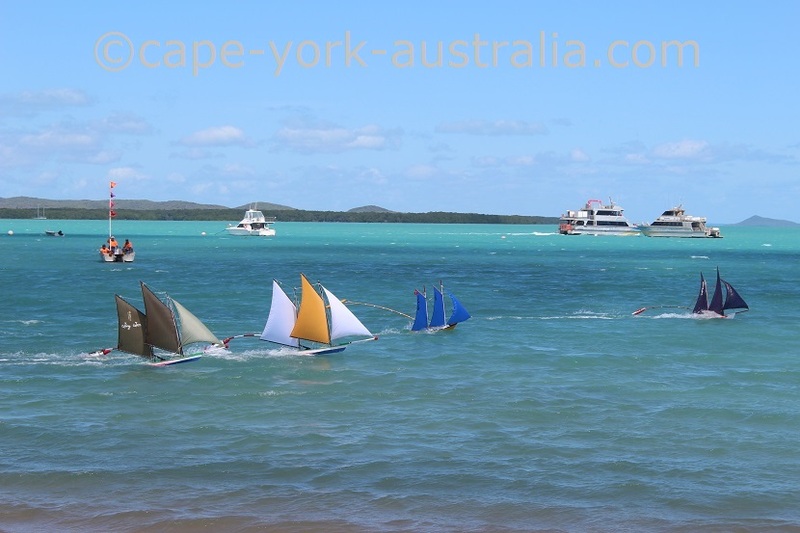 If you are visiting the peninsula in September (every second year), it makes it well worthwhile to catch the ferry to Thursday Island in the beautiful Torres Strait. 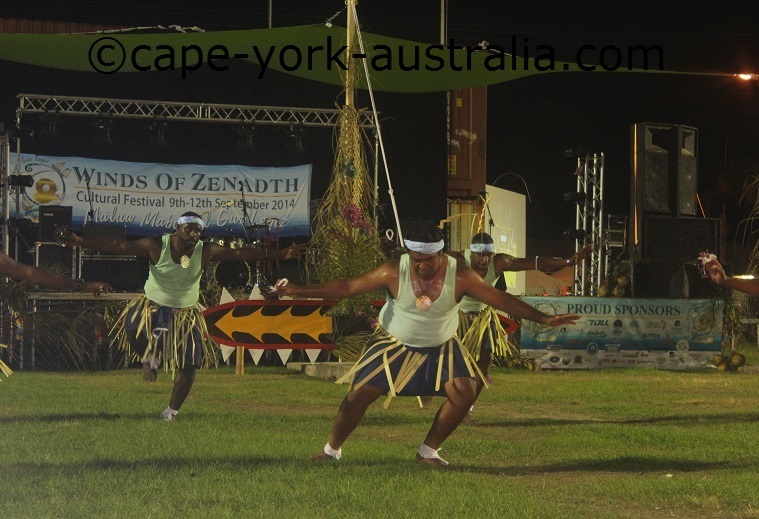 It is also called "Winds of Zenadth Cultural Festival", and the dances you see, and the photos and videos you can make, are quite amazing. 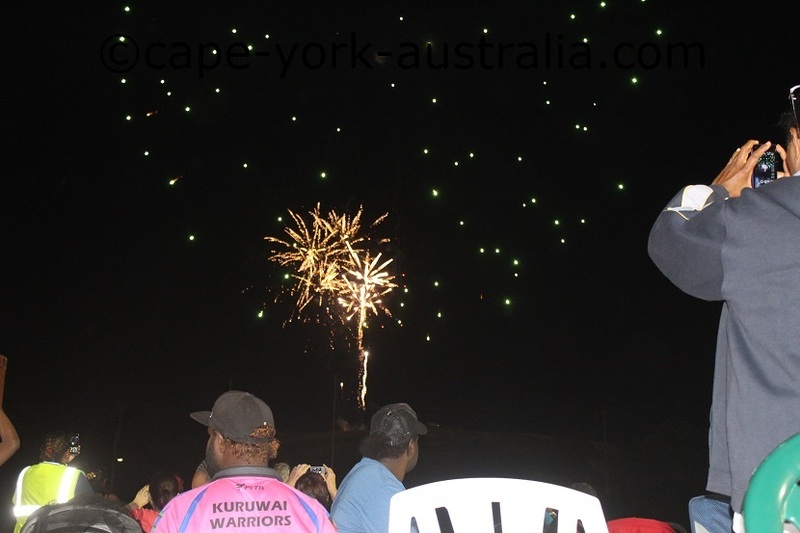 ... and even fireworks on the Torres Strait Cultural Festival. 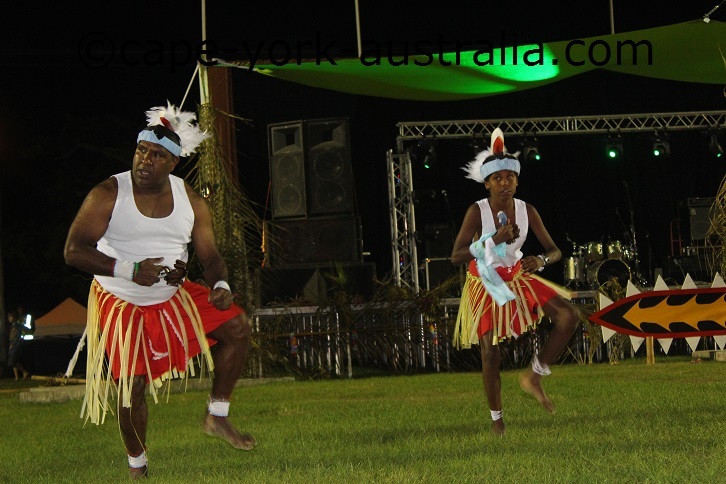 But best of all is the dancing. 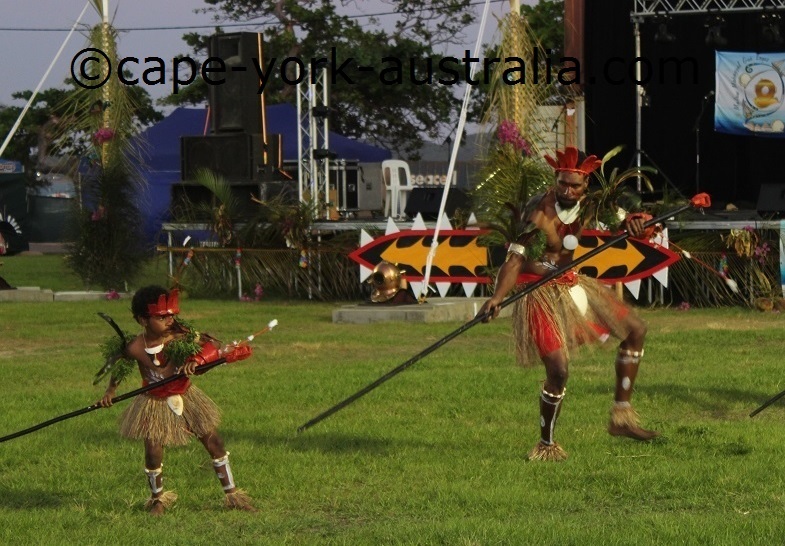 ... who are excellent at it and obviously learn their dancing from a young age. 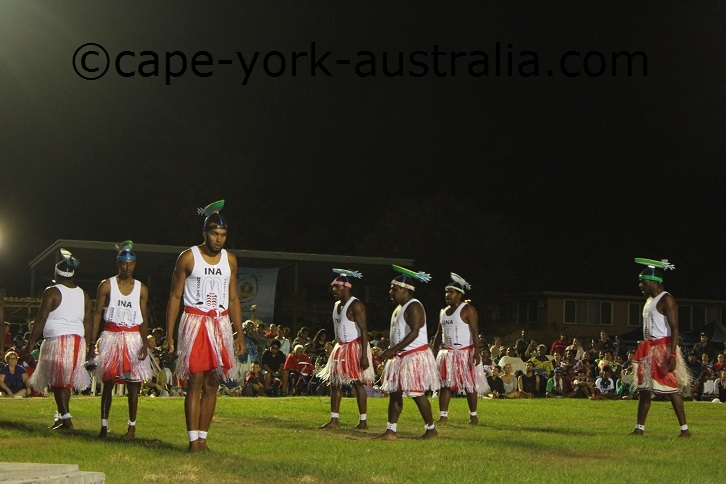 Do watch the ones lowest down too, they don't get worse!